Launched in 2011 by Jukay Hsu, Coalition for Queens fosters the Queens tech ecosystem to increase economic opportunity and transform the world’s most diverse community into a leading hub for innovation and entrepreneurship. You may have read about them in Tech Crunch because of their initiative Access Code, a programming course that runs over nine months for adults from low-income and underrepresented backgrounds.The program, which is free, targets a group that has at least 50 percent women, 50 percent underrepresented minorities and 50 percent immigrants. No background in programming is necessary, and the participant’s annual salary can’t be more than $45,000. You also might have been to one of their meetups. 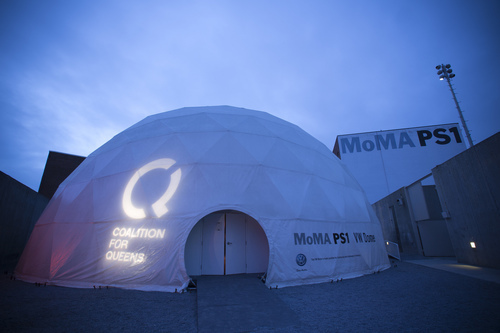 On Wednesday, October 14, supporters of the growing Queens tech community will get dressed up and take over MoMA PS1 for their annual C4Q Tech/Bash. There will be great food, drinks, tech demos, and more. Because we know you all love food and booze, it’s worth noting that Queens hotspots Bear, Jora Restaurant & Bar, The Bao Shoppe, and Queens Courage are just some of their food and drink vendors this year! Early bird tickets end tomorrow, so get them today and save $30. (And remember, tickets are tax deductible!). Tickets are on sale through c4q.nyc/bash. After that, general tickets are $150 and include an open bar and as mentioned, delicious food and drink from around Queens and NYC. You can also RSVP at the Facebook event. We’re proud media sponsors of the event, and are excited support an awesome cause and to be there to party with tech supports, techies, and honorees like Alicia Glen, Deputy Mayor for Housing and Economic Development for NYC. Can’t make the gala but want to get involved or donate? Check out c4q.nyc/volunteer.